Opulence isn’t confined to cars alone, as with more global models coming to India, we now have a bunch of expensive bikes on sale. Thankfully they aren’t just about showboating, as these expensive cruisers can eat up miles effortlessly. In addition to that, they have enough grunt to happily cruise at triple digit speeds without having to worry about anything — the way life should be. We look at ten of these and see why they deserve a chance to be in your garage, if your pocket and enthusiasm for bikes allows. What you’re looking at is easily the apex of grand touring in the country. And not just because of the heavy price tag, because once you make a note of what all it offers, you might think of it as a bargain. Well, almost. Try looking beyond the majestic appearance and there are two comfortable seats, a wide windscreen up front, pannier boxes to gobble all your luggage for the trip, and a four-speaker touchscreen (6.5-inch) infotainment system that will keep the ‘occupants’ entertained. To move the 433 kilos of mass this Harley boasts, you need a powerful engine — a 156 Nm producing 1,801 cc unit. On the ‘kitna deti hai’ side of things, the fuel tank can hold up to 22.7 liters of petrol, so fuel stops don’t need to very frequent. Let’s go a little more conventional, more old school, shall we? The Indian Roadmaster is a classic American cruiser that looks imposing, comes with a plush seating, and an overall length more than that of the range-topping Harley mentioned above. It also comes with cruise control, an electronically adjustable windscreen, and Bluetooth-enabled premium audio. The bike is powered by an 1811 cc engine that makes 140 Nm of maximum torque, and the fuel tank can hold 20.8 liters of fuel. 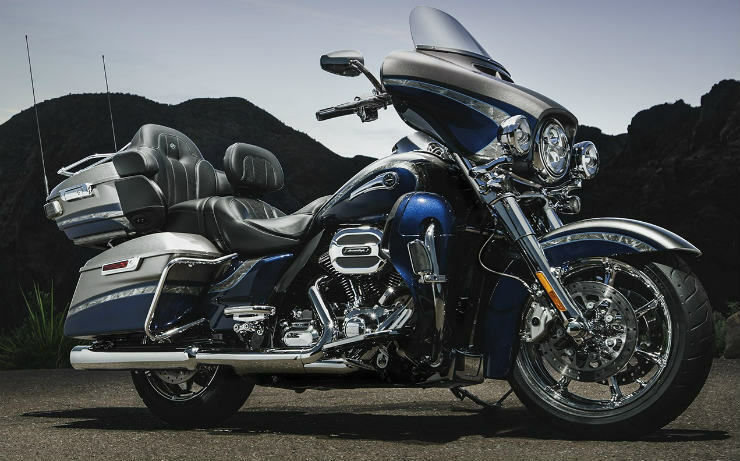 Further away from grand touring and more towards old school cruising is the Indian Chieftain. It continues with an electronically controlled, massive windscreen up front but with a more distinct rear end and a huge Indian moniker on the tank. There’s rear storage, ABS and cruise control, and even the ability to switch on the bike without having to take the keys out of your pocket. At 393 kg (dry weight), it’s lighter than the above two heavyweights, and gets the same 1,811 cc engine that makes 140 Nm. Accessories for the bike include a blacked out exhaust upgrade, and taller handlebars. 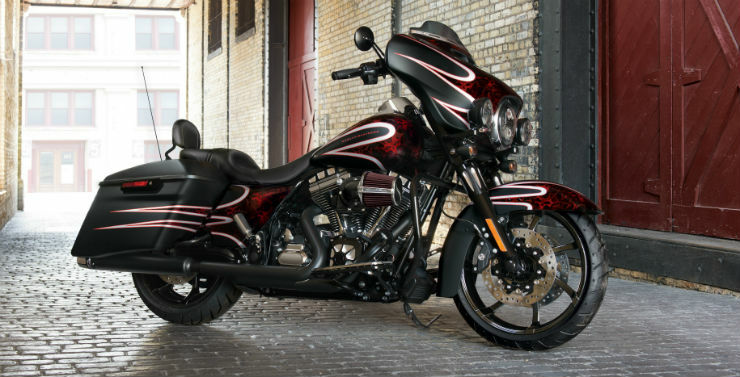 Positioned below the CVO Limited, the Street Glide Special is like the Indian Chieftain from Harley Davidson. Less bulky and shorter than the former, it comes with a smaller engine (makes 138 Nm of torque) but with fewer kilos (weighs 372 kg) to lug around, that power different won’t be too apparent. With a 25-degree angle of rake and tall handlebars, the Springfield offers the cruising ability at a more affordable pricing. The large windscreen, standard ABS, a unique match of old-school styling and new-age technology, and a sturdy yet lightweight aluminium frame. Like the rest of the Indian range, the bike is powered by an 1,811 cc V-Twin engine that makes 139 Nm of torque. It also has a fuel tank capacity of 20.8 liters, and the accessories include a further taller handlebar and performance upgrades including a new exhaust, high performance air filter, and new cams.